Paris Saint-Germain star Kylian Mbappe is one of the best players in the world and looks set for a great career in the game. 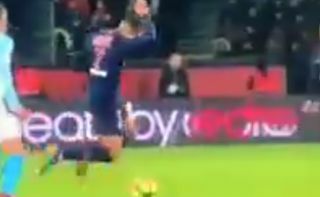 However, he is not immune to criticism, and this dive for PSG against Marseille last night is truly horrible to see from a player who is normally such a joy to watch. Mbappe doesn’t have the reputation for play-acting like some big names, such as his team-mate Neymar, but it looks like he might be picking up some bad habits. Let’s hope we don’t see more of this from the 20-year-old, who has no need to be trying to con referees like this when he has so many other ways of tormenting his opponents.